Mosque is building of great importance religiously and politically for practitioners of Islam and has a long history. First mosque was built in Islam in 622 CE - Quba Mosque in Medina city of Saudi Arabia and nowadays the number of Mosques in the world expected to reach 3.85 million in 2019. Some of the mosques build as modest structures and some as architectural masterpieces. 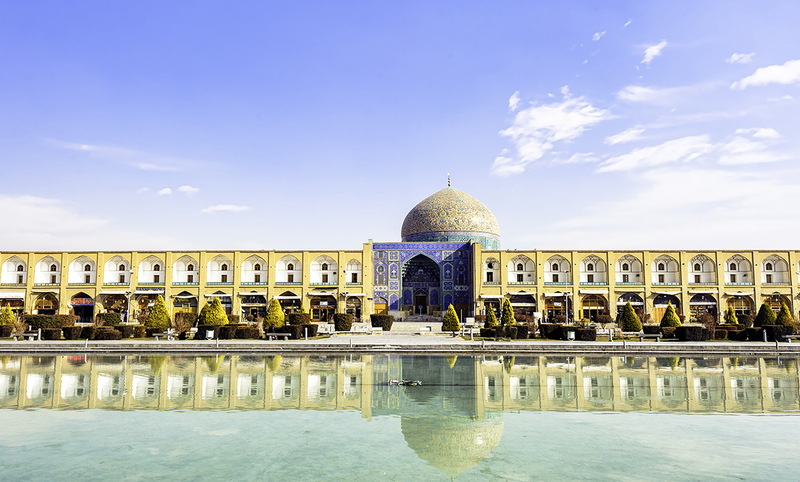 We decided to have a look at most interesting architecturally or significantly important mosques ever build in the world through such a long period of time and see how mosque architecture evolved through centuries. Traditional mosque design and modern mosque architecture features. The Great Mosque of Mecca is the oldest and largest mosque in the world with nowadays capacity of 1,5mln worshipers, 356,000 and 9 minarets has undergone major renovations and expansions through the years from the initial build. 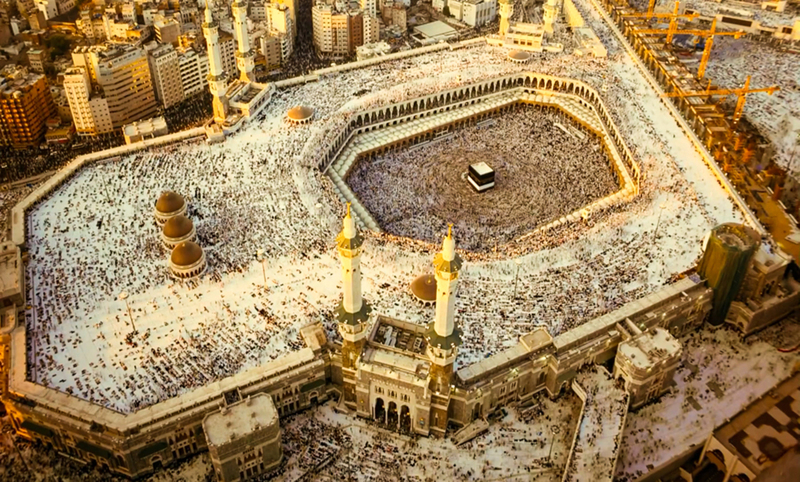 Initially the mosque was open an area surrounding Black Stone in Kaaba with wooden columns structure. 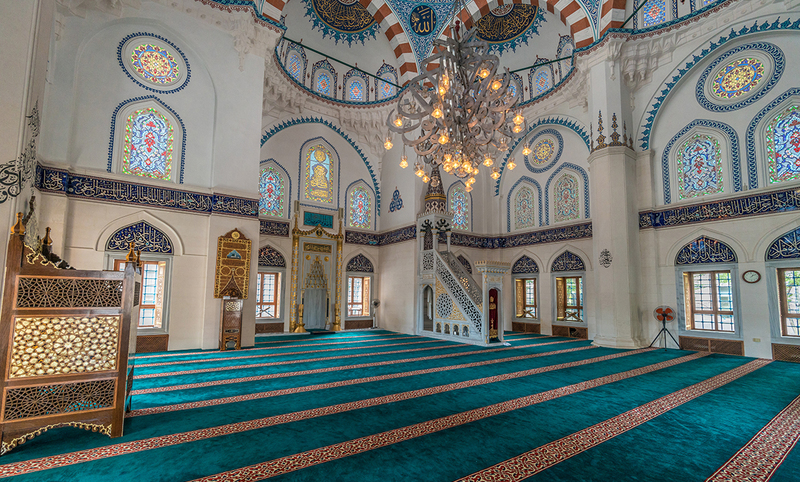 During first renovation wooden floors were replaced with marble and few minarets were added. While Ottoman Empire first signs of present architectural features appeared- more marble, roof decorated with calligraphy, more minarets added. With growing need to accommodate more pilgrimages more expansions were build. 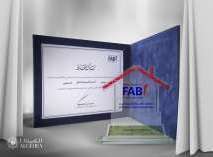 Here we see the first development of Islamic architecture carried out to present days. Second holiest place in Islam The 3rd mosque build in a history Al Masjid An Nabawi Mosque in Medina in 622 was also greatly decorated by Islamic rulers through the years and was the first place provided with electrical lighting in whole Arabian Peninsula. 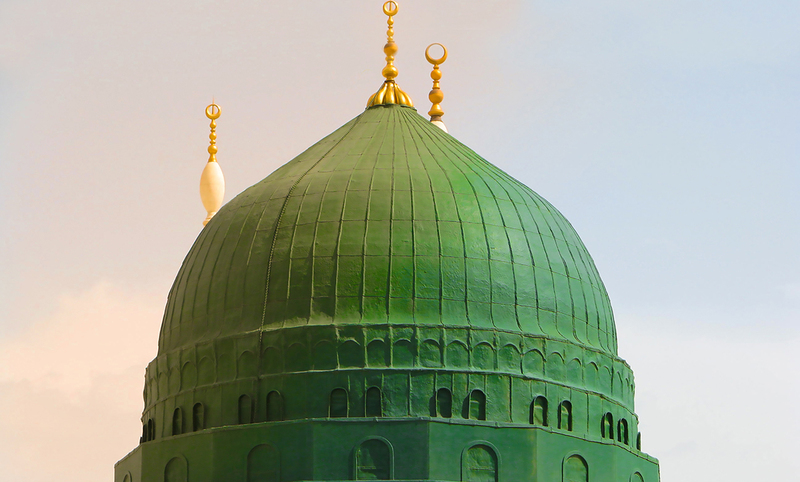 The Green Dome is most notable feature of the site- located in the south-east corner of the mosque, which got its name and became recognizable architectural element after being painted green in 1837. 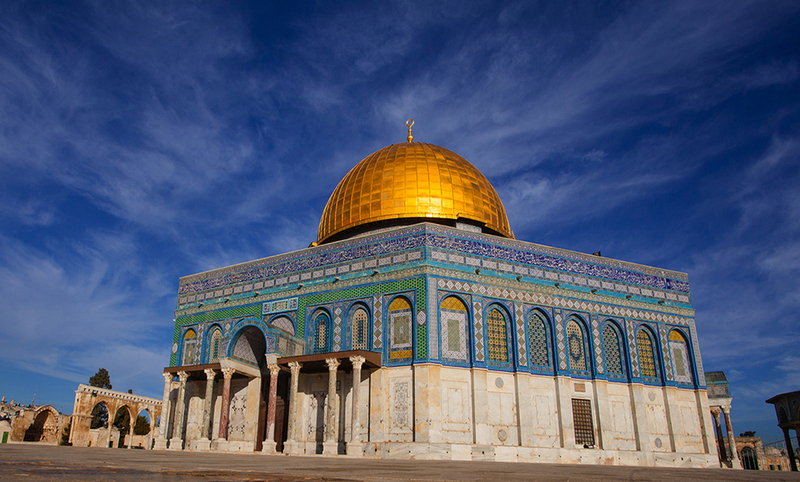 Another mosque famous for its golden dome – The Rock of Dome, called by UNESCO most recognizable landmark of Jerusalem was built 691–92 CE and is one of the oldest creations of Islamic Architecture. The golden dome on top of the mosque has a moon, even though moon has a significant role in Islamic calendar in architecture of the mosque crescent moon and star designs are simply a matter of decoration. 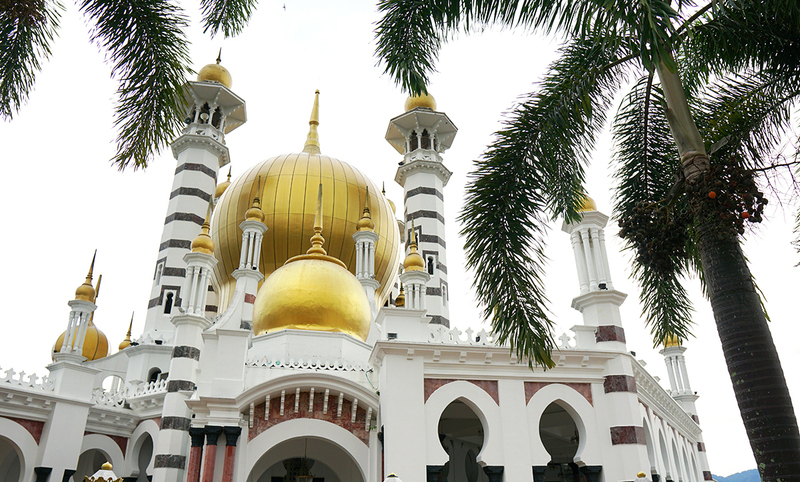 In new era impressive architecture interpretation of the golden dome we see in Masjid Ubudiah Mosque featuring four minarets in royal city of Malaysia Kuala Kangsar. Mosques has domes to signify the vaults of sky and heaven normally placed above the prayer hall. Early years domes were small on the roof part near mihrab. In later architecture domes started covering whole prayer halls and been decorated with geometric shapes and various designs on interior and exterior. Some of the architectural elements are essential as they serve religious purpose of ritual and another are symbolic, therefore mosque may have or may not have some of usual to Islamic architecture features. For example Minaret- is a tower attached to mosques and serves two main functions: call to prayer and to act as a great symbol of Islam providing focal visual point. 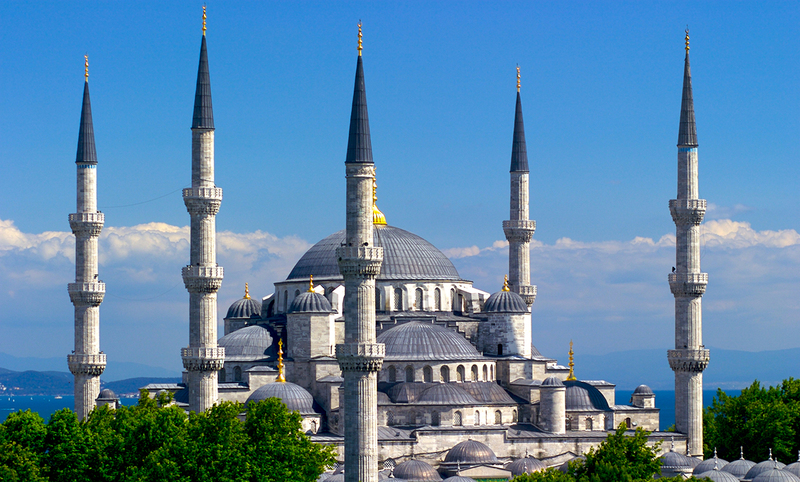 First build mosques however did not have minarets and they appeared in architecture only in 9th century. 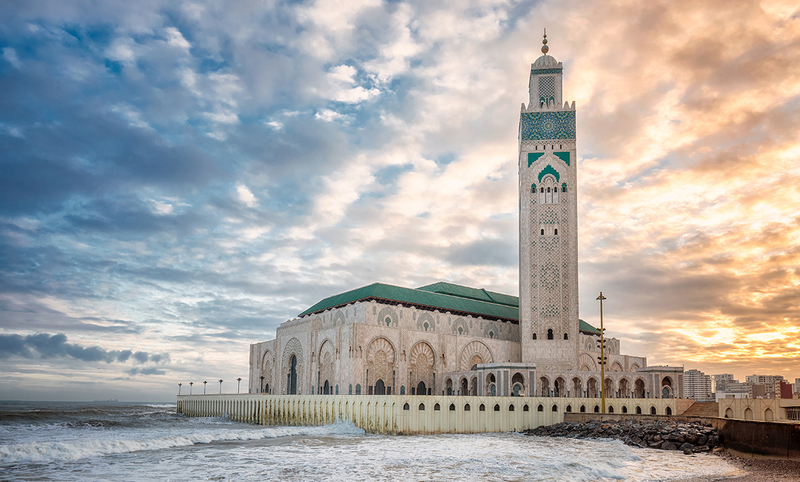 Tallest minaret in the world standing at 210 meters is one of the Hassan II Mosque in Casablanca, Morocco. 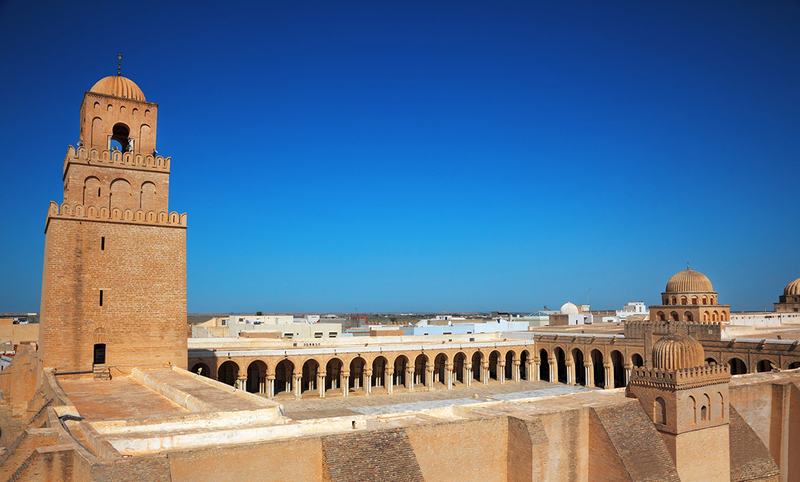 And the oldest minaret attached to Great Mosque of Kairouan in Tunisia constructed in 836 AD. Apart the odlest minaret it also features the oldest Minbar in the world. The minbar is a pulpit from where Imam (prayer leader) delivers sermons located to the right of the Mihrab. This eleven-step staircase made of carved and sculptured teak wood considered to be a jewel of Islamic wooden art. 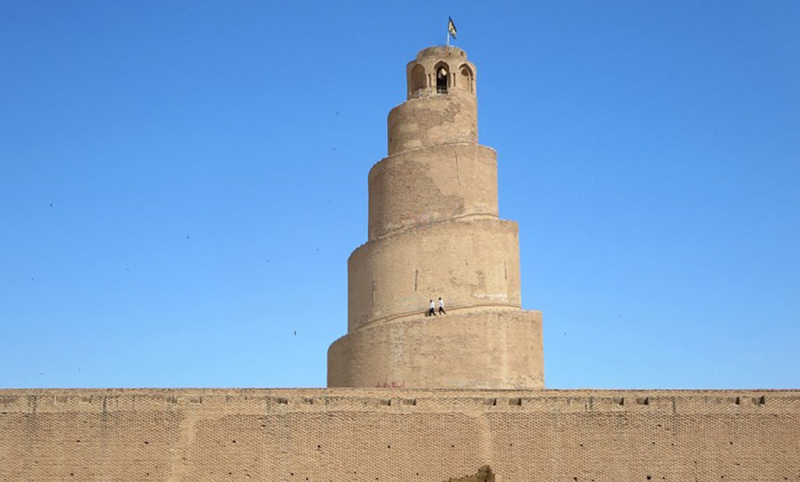 Malwiya Tower- the iconic spiral minaret of The Great Mosque of Samarra in Iraq is the only part of the mosques still standing and listed as UNESCO world heritage site. And while traditional Al-Masjid an-Nabawi mosque has 10 minarets, another architecturally unusual Sheikh Lotfollah Mosque without minaret or courtyard built in 17th century under Shah Sabah in Iran. In contemporary architecture quite controversial mosque without minaret Vali-e-Asr mosque in Tehran faced harsh opposition from Iran&apos;s conservative establishment and it means historically minaret established to nowadays as great symbol in Islamic architecture. As Islam spread mosque architecture was influenced by the time and place where it was built. However Mihrab - crucial feature of mosque architecture- a semicircular niche in the wall of a mosque that indicates the direction of the Kabaa as direction to pray was always present. Even with Islam spreading to Asia and affected by local traditions in architecture this rule was strictly followed. The largest mosque in China - Great Mosque of Xi&apos;an is a good example of Chinese architectural traditions combining Islamic functionality. 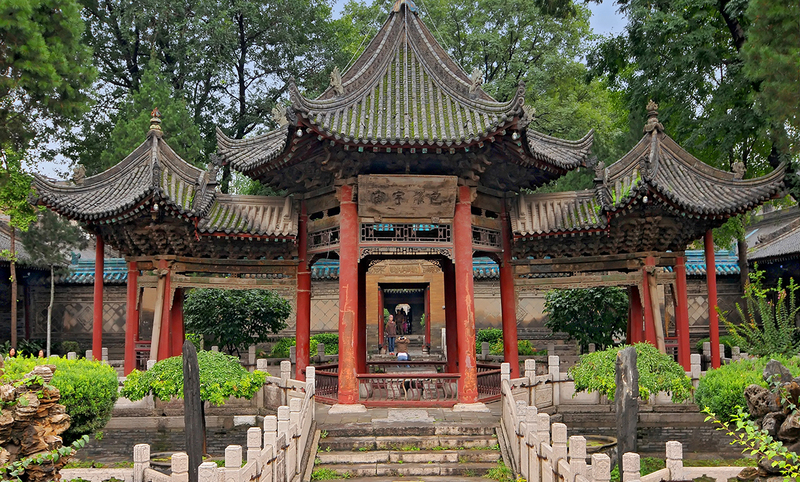 In China traditionally buildings align along a north-south in accordance with feng shui, however the mosque is build facing west towards Mecca and futures rear Qibla wall with wooden carvings of floral and calligraphic designs. Contemporary mosque architecture in Asia continues with representation of the largest mosque in Japan Tokyo Camii Mosque built by two immigrants from Russian based on Ottoman religious architecture. The most famous Ottoman design mosque is Sultan Ahmed Mosque in Istanbul Turkey mainly known as Blue Mosque built in 1616. Got populated under name Blue due to mosque color, with its majesty and overwhelming size features 200 stained glass windows, five main domes and eight secondary domes along with six minarets. 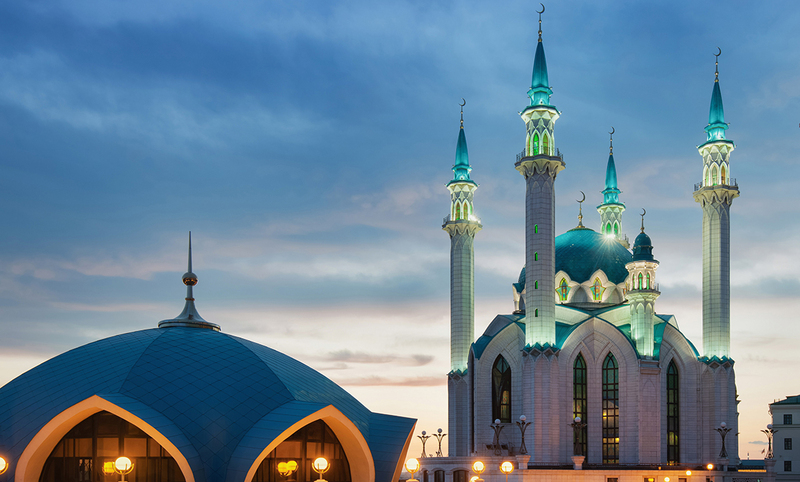 Another beautiful mosque featuring blue color Kul Sharif Mosque in Kazan Russian is a modern creation influenced by traditional European design with elements of Renaissance and Ottoman architecture. 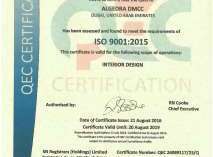 Initially build in 16th century was destroyed and with contribution from several countries especially United Arab Emirates and Saudi Arabia was rebuilt in 2005. 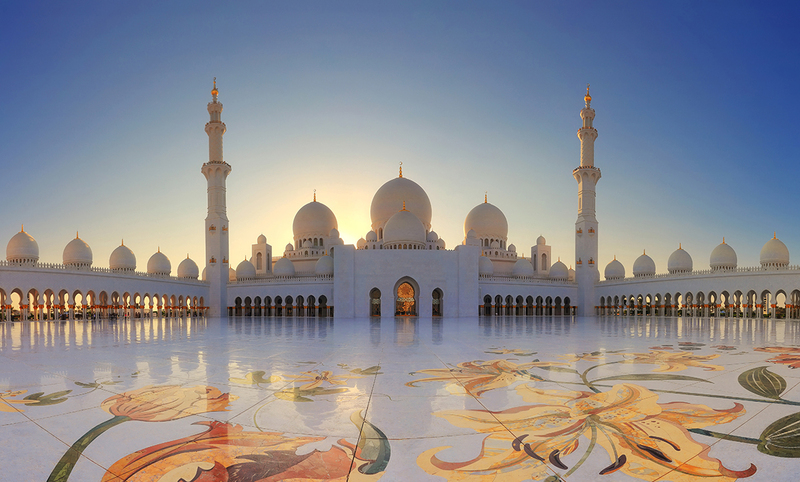 In United Arab Emirates itself most beautiful masterpiece of mosque architecture and largest mosque in the country located in Abu Dhabi -Sheikh Zayed Grand Mosque features 82 domes of seven different sizes and 4 minarets. Design influenced by Persian and Indo-Islamic architecture and floor plan with dome in particularly was inspired by the Badshahi Mosque in Lahore city of Pakistan. 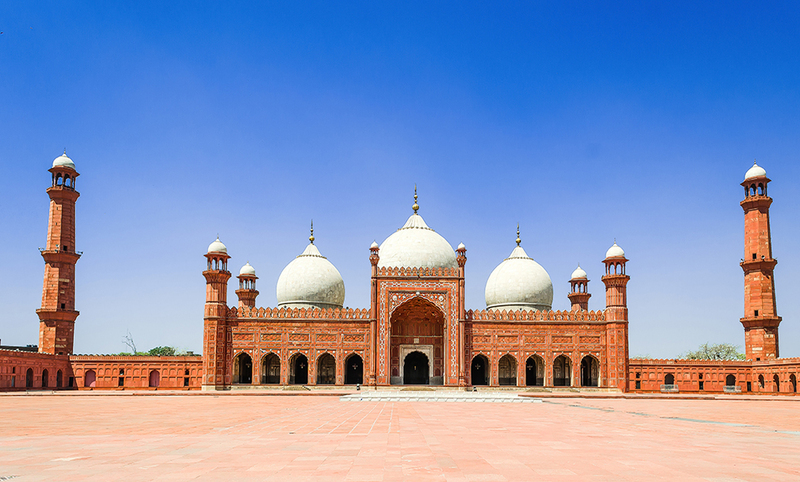 Badshahi mosque built with red sandstone and white marble inlay largest mosque of Mughal era style architecture. 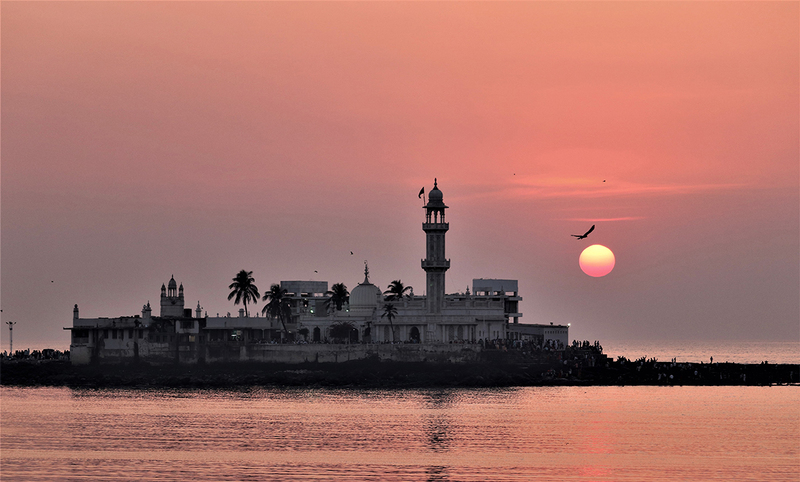 Another unique example of Indo-Islamic architecture is Haji Ali Dargah mosque is located in the middle of the sea in Mumbai. Dargah mosque is built on a little isle 500 meters away from the coast and linked to the city by a narrow causeway that disappears in high tide, which makes it accessible only during low tide. The main hall has marble pillars featuring artistic mirror work of kaleidoscopic patterns of blue, green, yellow chips glass interspersed with Arabic patterns that spell the ninety-nine names of Allah. 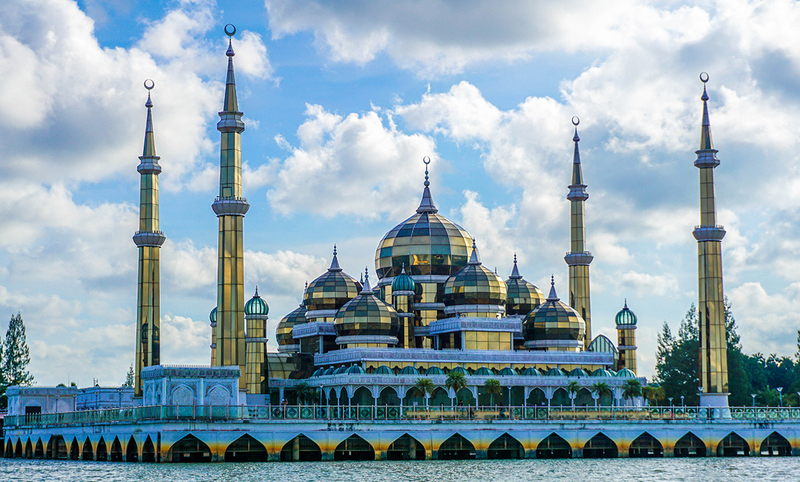 Another masterpiece close to the water is a modern design marvel The Crystal Mosque or Masjid Kristal located at the Islamic Heritage Park on the island of Wan Man in Malaysia. Mosque exterior is made out of crystal, glass and steel, which are unusual materials to be used on mosque exterior, however we see how traditional mosque features are preserved in contemporary architecture. Sometimes churches and other temples were converted into mosques, which influenced Islamic architectural styles. 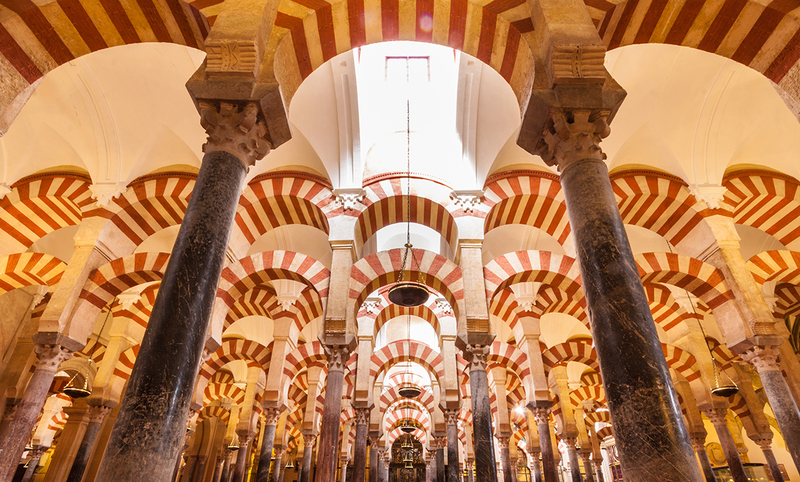 One of such is a Great Mosque of Cordoba which was initially a Christian church dedicated to Saint Vincent the Third. Having a rectangular prayer hall with aisles arranged perpendicular to the mihrab- the layout of mosque resembles earliest mosques built in Islam. Mosque is well known for its arcaded hypostyle hall featuring 856 columns made marble, granite, onyx and jasper. 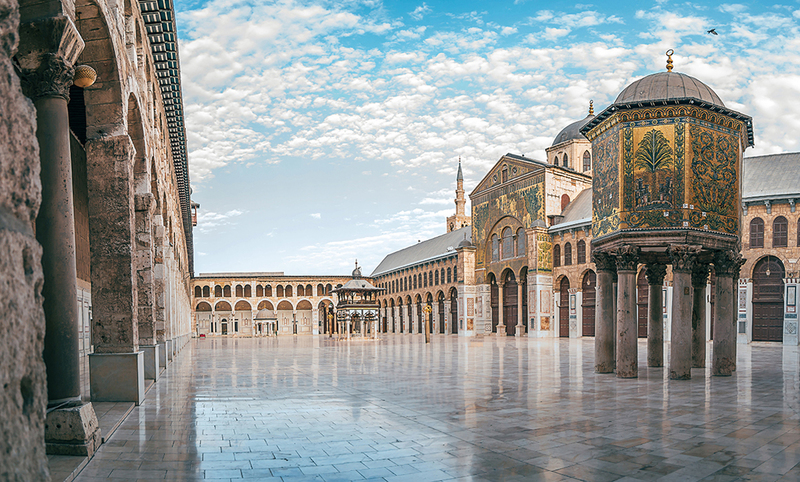 The first hypostyle type mosques of Arab-plan and Islamic architecture typical features are square or rectangular plans with an enclosed courtyard and covered prayer hall. It considered to be a most accomplished structure of Moorish architecture- Islamic architecture of North Africa and parts of Spain and Portugal. 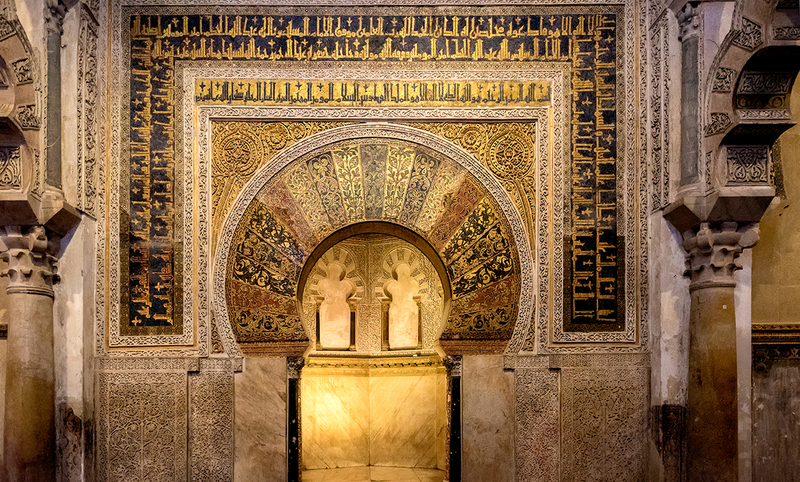 Some features of Cordoba Mosque considered to be inspired by Umayyad Mosque or The Great Mosque of Damascus, which is also was built on the site of previously a Christian Basilica. It is one of few oldest mosques in the world that maintained initial architectural features and general structure since its construction in 8th century up to date. Even though some of the oldest mosques has preserved traditional architectural styles, modern mosque architecture was visibly influenced by urbanistic designs. 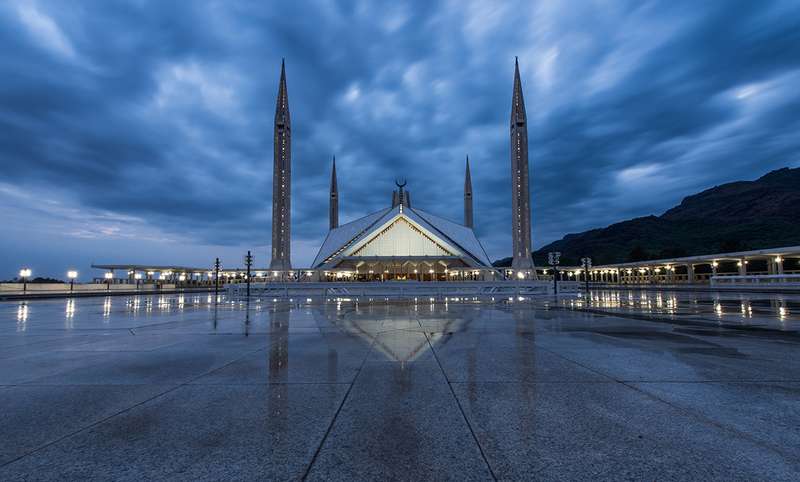 The fourth largest mosque by capacity in contemporary design Faisal Mosque in Islamabad. Designed with eight-sided shell shaped sloping roofs doesn’t have a typical dome. A newly formed Neo-Islamic architecture style does not follow fundamentals of the past, however crucial elements of Islam beliefs always be present. Common feature in traditional mosque architecture usually includes calligraphic inscriptions, specific ornaments, geometric patterns, arabesque floral motifs and Quran verses in exterior and interior, where building and decorating the mosque requires lot of craftsmen work and hours for decoration as it is very detailed work. Strongly affected by minimalistic movement in architectural design we see new forms and less details in decoration of exterior and interior. The idea behind such a design is concentration on spiritual essence. 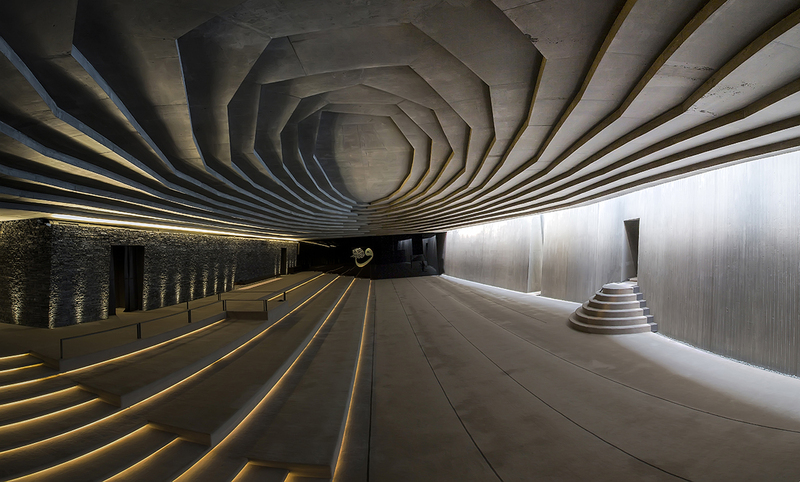 Sancaklar Mosque in Istanbul named as most striking religious creation of present time is a vivid example of modern mosque architecture. Whatever structural intentions Islamic architecture may take different forms and styles, however through the centuries Mosques are built with ideology of aesthetics fluidity guide the person into proper worship. In Mosque every item and detail has a deep religious meaning and is concentrated around the prayer, therefore most important features in Mosque architecture is sustainability.